The rapper said the girl's story touched his heart. 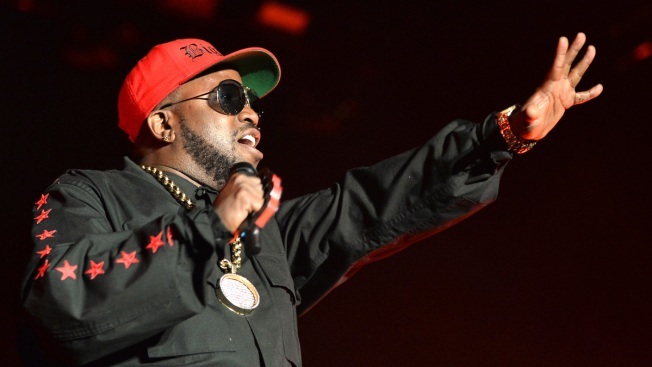 Rapper Big Boi of Outkast performs onstage during day 1 of the 2014 Coachella Valley Music & Arts Festival at the Empire Polo Club on April 18, 2014 in Indio, California. Atlanta rapper Big Boi has given a puppy to a little girl who was paralyzed from the waist down after being shot while playing in a bounce house near the city earlier this year. WSB-TV reports Big Boi, who's one-half of the rap duo OutKast, presented Abriya Ellison on Thursday with the pup bred from his kennel business. Video shows Abriya cradling the dog, which she named King. Big Boi, whose real name is Antwan Patton, tells the station that the dog is "something therapeutic" for Abriya. He says the girl is "definitely inspiring" and her story touched his heart. Patton also has agreed to pay off Abriya's medical bills and renovate her bathroom to make it handicap accessible. Abriya was 5 when she was shot outside Atlanta in April.